Akakiy scrimps and saves to commission a new coat: “He even got used to being hungry in the evening, but he made up for it by treating himself, so to say, in spirit, by bearing ever in mind the idea of his future overcoat.” Once his tailor delivers his new overcoat, Akakiy struts to work. “He was conscious every second of the time that he had a new coat on his shoulders; and several times he laughed with internal satisfaction. In fact, there were two advantages, one was its warmth, the other its beauty.” It me, Akakiy; it me. Impressed by Akakiy’s new coat, a superior invites him to a party; not a great fit for the shy Akakiy. After the party, he’s attacked in the street and his coat is stolen. He appeals to a general in his department to help him find his stolen coat, but is instead berated for bothering the general with such a trivial matter. 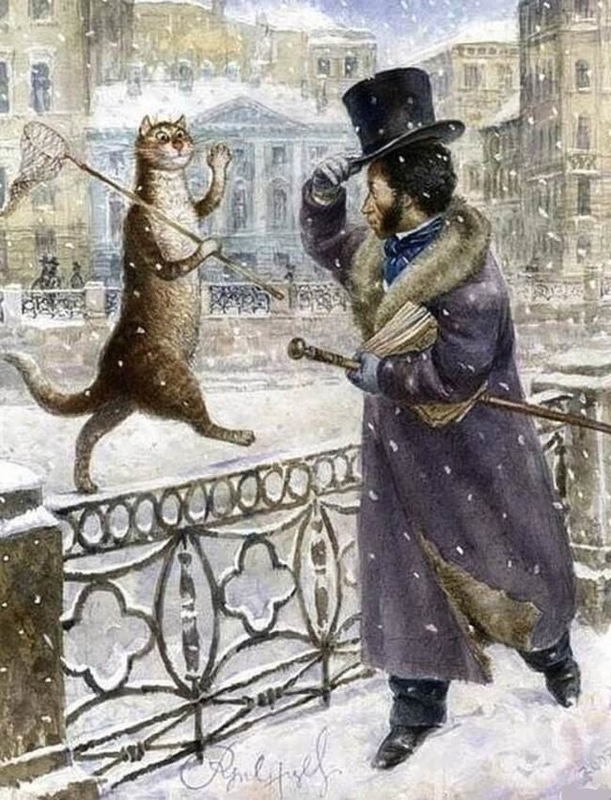 Crushed and coatless, Akakiy falls ill and dies, and his ghost haunts St. Petersburg, pulling coats off people’s backs. The lesson that I take from this classic piece of Russian literature is that overcoats are rad and you should get a new one. This concludes my essay. Overcoats are meant to be worn with a suit. That’s what they’re going “over.” But what this post presupposes is, maybe they aren’t? When we say “overcoat” today we generically mean a longer coat (beyond hip length) made of heavy woven wool or wool-like fabric, that has a collar, and closes with buttons. There are many classic and well-defined shapes for such coats with varying provenance and cross-influences; Derek wrote a great rundown of an ideal modern coat wardrobe last year, covering guard’s coats, balmacaans, and polo coats, among others. I have a handful of coats in the overcoat category. In winter, sure, I’ll wear one of these coats over a suit or sportcoat, even though I sometimes opt for something less classic, like an Army parka (the tradition here is also well established). But the same mixing of casual and tailored can go the other way–I’ve always loved wearing semi-classic overcoats casually. I’m not suggesting this idea is disruptive; if I remember right, Banana Republic was styling overcoats with jeans in the early 2000s. But today, even though the need for classic coats for different occasions is smaller than ever, we may have even more options for wearing such designs with no other tailoring at all, and looking great. A few factors come into play when choosing to buy or style an overcoat casually. Shorter isn’t necessarily better, but longer is usually worse. Very generally, more formal coats will be longer. Knee length (or longer) coats are more difficult to wear casually. 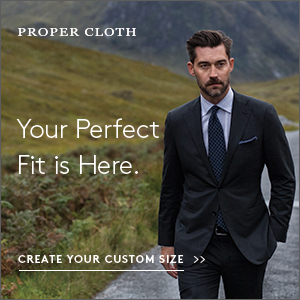 You won’t need to know an Ulster from a greatcoat to know a coat of that length looks formal. Make sure it looks good worn open. Some conventional wisdom says that single breasted coats look better open and double-breasted look better buttoned, but that’s not a blanket statement. Just consider that when you’re buying coat to wear casually, you’re less likely to be wearing it buttoned 100% of the time. Some coats hang a bit awkwardly worn open. 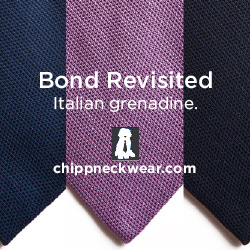 Collar style is key. Overcoats have a number of collar styles–straightforward single breasted notched lapels, like a suit’s; shirt style collars; big peak lapels on some double-breasted versions. Most of these are designed to be worn down or up–it’s not affected to pop the collar on a coat; it’s part of the point. More pattern and texture = more casual. Again, not a blanket rule, but a coat with a more “interesting” fabric is more versatile for casual wear, vs a smooth or subtle patterned coat that aligns it more with tailored clothing. Not all long coats are warm. Overcoats have a reputation for being warm. Just think of Akikiy, cloaking himself against the merciless St. Petersburg winter. But not all coats are designed for such weather. Shorter, looser coats may let some cold air in, and many modern designs are not lined. In some cases, that’s a bonus; many climates wouldn’t otherwise warrant owning a lined, heavy coat. Knits are the best accompaniment. Obviously I’m pro-wearing-coats-casually, but I still feel a bit underdressed in a tshirt or collared shirt and an overcoat. A knit layer solves that problem and makes the coat seem more appropriate. Turtlenecks are great in this context. For more considerations, check out Derek’s article on understanding silhouettes. The last few years have seen much broader options in the overcoat range, where I’d say a decade ago you’d have to commission anything weirder than a double-breasted camel coat. The market is awash in exploded-pattern wool coats, and the vintage market is pretty rich, as well. In the <$300 range, Abercrombie & Fitch (!!!) has a simple single-breasted coat in a terrific houndstooth from Moon and Sons. They call it the “dad coat”–so be it. It reminds me a lot of an old Invertere coat I have, a defunct UK maker who used to make coats for J. Press and others. 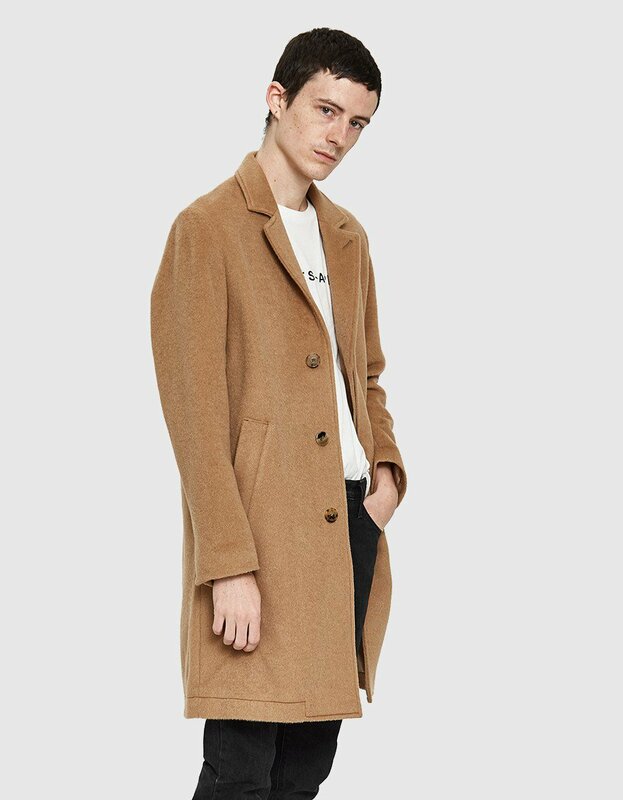 Uniqlo’s U line with Christophe Lemaire also has a loose-fit wool blend long coat–Uniqlo’s version is definitely not a deep-winter coat, but it’s a nice silhouette to find in that price range. Lemaire’s designs go a bit against my “rules” above. They are longer and have a smoother finish than most of the other coats I’d recommend wearing casually. 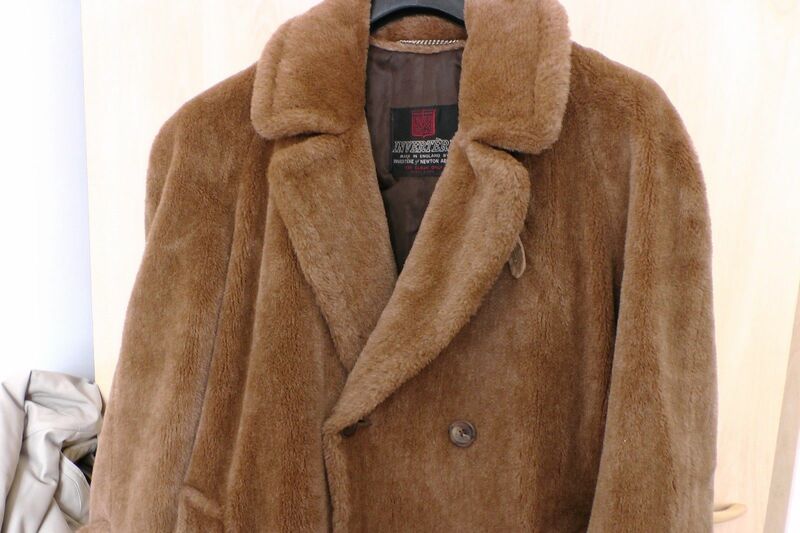 $500 will get you a new coat from J. Crew or Suit Supply. Suit Supply coats are generally more tailored in shape, but in my experience are decently made. After years of narrowing their coat silhouettes, J. Crew has a new “oversized” shape that looks decent, although I might opt for a cheaper coat in this range or wait for a nicer one on sale. 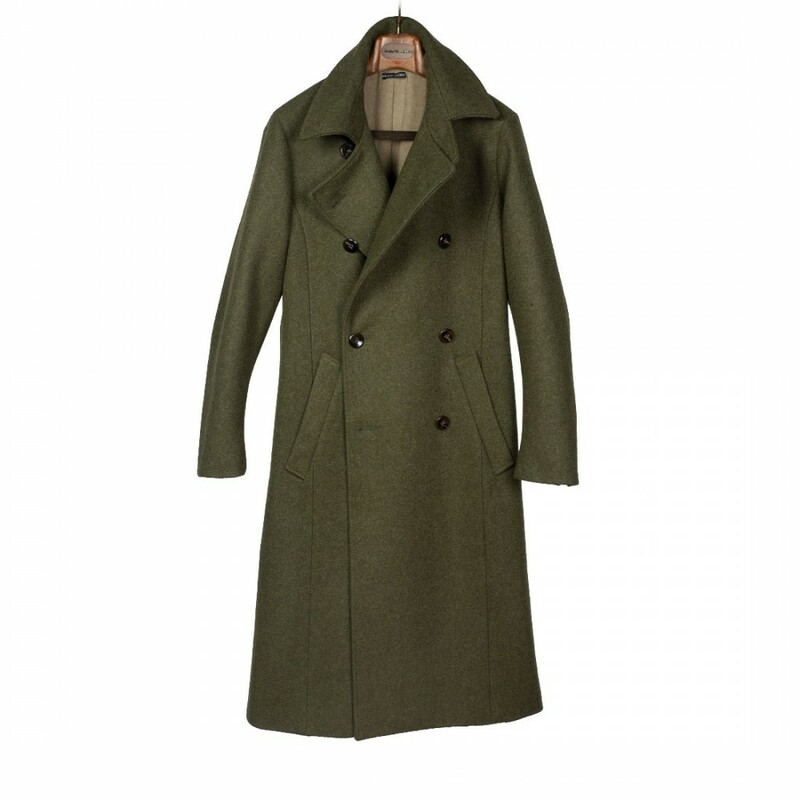 Yoox is a good source for interesting coats discounted to this range from brands like L.B.M. or The Gigi. For something simpler, I like this Norse Projects mohair blend camel coat. At around $1,000, which is not crazy for a coat in a particularly fine fabric, you’ll find interesting options from Stephan Schneider or Frank Leder (Maybe it’s their location in New York City, where you can actually wear coats for 5+ months a year, but No Man Walks Alone consistently has a great selection of interesting overcoats every fall/winter). I like this wool pile coat from Drake’s as well–no pattern but nicely textured fabric. Berg and Berg just introduced a line of traditional overcoats in heavy fabrics I could see being worn casually — they seem to have sold through a number of sizes already. At over $1,000, you’re hoping for some pretty special outerwear. Valstar has a long coat this season in a showstopping Loro Piana fabric. 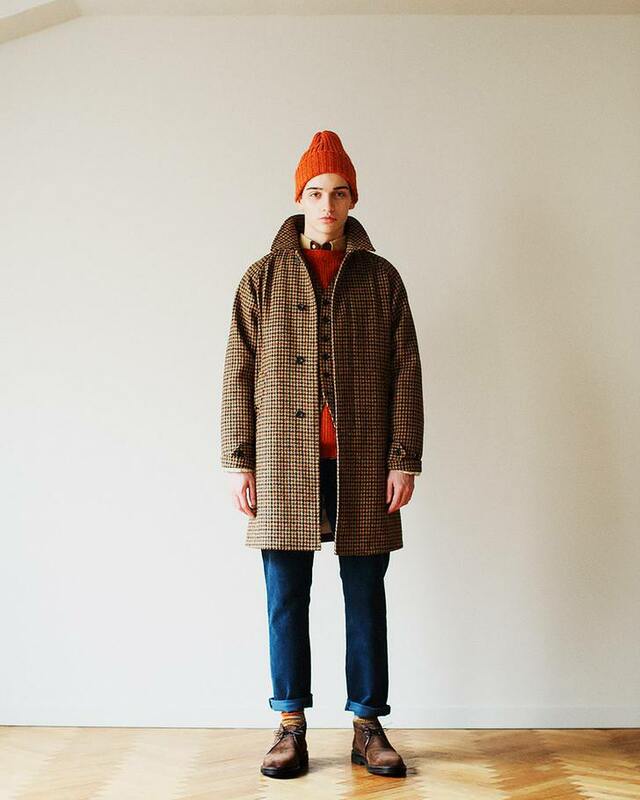 Japan’s Kaptain Sunshine made a reversible coat with a dramatic collar. 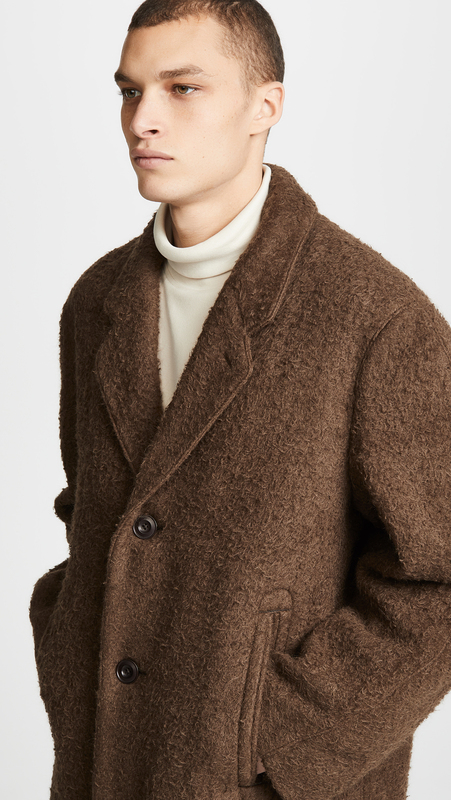 Christophe Lemaire has been a driving force behind the resurgence of nice long coats, and his pieces are in this range–I like this belted version and a fuzzy alpaca coat. 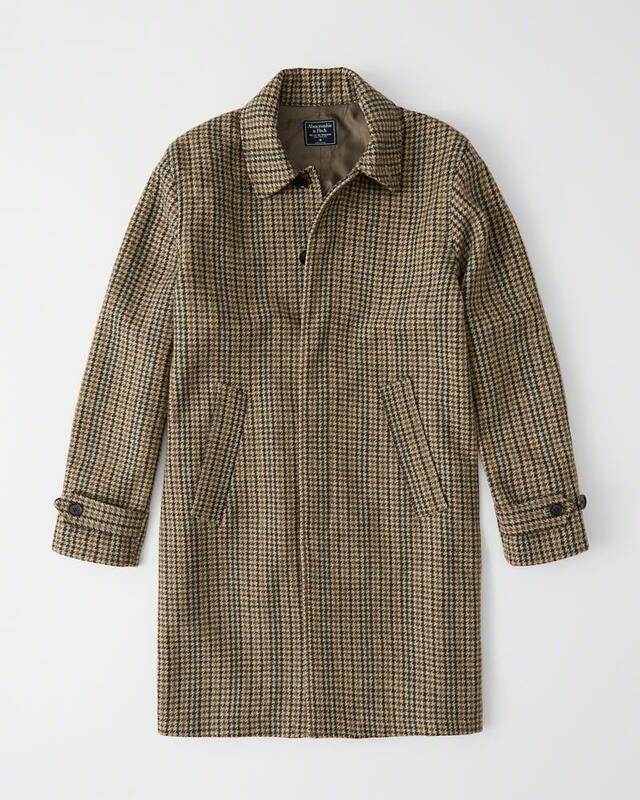 Not to mention this Lemaire coat, which costs more than my first car. When browsing vintage stores or eBay, some of your best bets will be classic American clothiers like J. 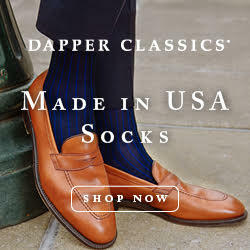 Press or Brooks Brothers, who’ve been making heavy classic coats since Lincoln was president. Just keep an eye on the formality scale. Invertere was a great UK maker and in its heyday used a lot of louder fabrics. Keep in mind when shipping vintage that many coats have been altered, so a straight size 40 or medium may have sleeves that have been shortened, for example. Crombie is another British brand that’s sometimes shorthand for a tailored coat, particularly in mod circles. You have to be a little cautious with vintage models bought sight unseen — other than the obvious risks of moth damage or unobvious alterations, some old dress coats are just not adaptable to casual wear in a modern context.